Maintenance & Project Engineering Pty Ltd (MPE) has been successful in its bid to become a supplier of Work Health and Safety Services to Queensland Local Government organisations, through its appointment to a Local Buy Business Management Services Contract (Bus 249-1013). Managing Director, Mick Meissner, said he was looking forward to the opportunity of expanding MPE’s Work Health & Safety consultancy to Local Government. 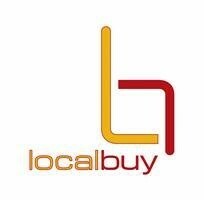 “I support the Local Buy concept as it provides benefits for both the purchaser and supplier. Having a Contract of this type in place streamlines the engagement process and ultimately saves time and money for both parties,” he said. Queensland Local Government organisations, agencies, statutory authorities and corporations can engage MPE directly through Local Buy or via a request for quote process, thus eliminating the expense of tendering. The Work Health and Safety services on offer include; •	Training and Development for WH&S •	Tool Box Talks •	Ergonomic Assessments •	Workplace Health & Safety Audits •	Workplace Health & Safety Investigations •	Workplace Safety Systems Audits •	Risk Management •	Workplace Investigations •	Incident Management Training & Reporting.